I have to say I am entirely disappointed by Goodreads. 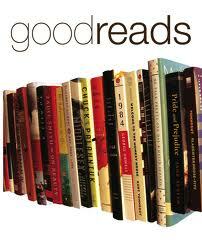 Goodreads is a website that is supposed to help you discover your next book to read and it has many members. It was acquired by Amazon as well recently. However, the site is poorly designed and I do hope that Amazon are investing a redo because I find it annoying that so many things actually don’t work there. 1. People are allowed to rate books on a 5-star system. Fine and dandy. The problem is there are no checks built in to see if the reader has actually read the book! So, I can go to any book and give it 1-star just like that and just because I felt like it. Furthermore, the book can be ranked even before its release date! So, don’t pay any attention to a book’s rating as its garbage frankly and, if you are an author, be aware that there are people who will give you a 1-star just for the hell of it. 2. You can rank a book without writing a single word of a review…… surely, if you are ranking a book at least a line should be required about your experience with the book? 3. Giveaways – yes, authors can run giveaways of their books and you can win a free book. Problem – people actually create tens if not hundreds of fake accounts and enter multiple times. There are no checks or balances on this as far as I can see. But it wouldn’t be difficult to do this would it? These are just three issues I have with the site. The fact is, why would I allow a site to recommend books to me if the ratings are nonsense? as an author why would I do a give away if I knew that 20% of all the entries were the same person? And by the way, as an author I find it intriguing that while 1000 people add your book to their reading list, not one of them ever reads it. What is that about? In summary, I can’t recommend Goodreads either as an end user or as an author until amazon sort the mess that site is out once and for all.